A monthly calendar is posted to keep residents informed of upcoming events such as birthday parties, movies, musical programs, outings, ice cream socials and other special events. We always welcome friends and families to visit and attend our special events. 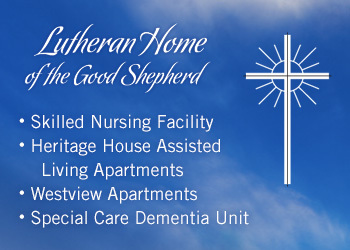 What role does social services play at the Lutheran Home of the Good Shepherd? Should you wish to have the Lutheran Home of the Good Shepherd wash the laundry please notify the front office upon admission. Subsequently, if a family/care giver is going to take care of the laundry at home, please let the nursing station know your plans. This way, the staff can place a sign on the closet door notifying our housekeeping staff to leave the clothing for family pick up. We request that family provide a hamper for clothes and pick it up twice a week. You may reserve the coffee shop for any special events (birthday, holidays, meals) with notice. Yes! We encourage children to visit. 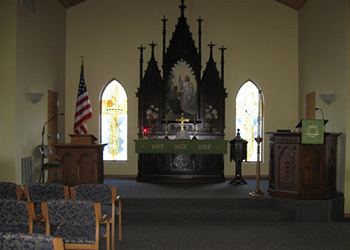 For the safety and welfare of all residents and staff, the Lutheran Home of the Good Shepherd is a non-smoking facility. There is ample parking in the parking lot with wheelchair access. Please observe all posted city parking signs. Avoid parking in spaces specifically reserved for the handicapped. We offer a full service beauty salon on site for our residents. We provide cable at no additional cost. Residents may bring in their own television set, or we do have a few sets available. Residents have telephone access, or we can help set up a landline with the local phone company at the resident’s expense. The Lutheran Home of the Good Shepherd has a vibrant atmosphere with dynamic, individualized activities that match the capabilities and needs of residents and their guests. We also have active resident and family councils and volunteer programs. Scheduled activities include: music, fitness activities, religious meetings, outside entertainment, games, gardening, field trips/outings and volunteer involvement. If you would like to arrange something special or have suggestions and ideas for individual or group activities, please inform our activities director. We welcome and encourage involvement from family and friends. Our primary concern is that your loved one feels comfortable here at Lutheran Home and that their needs are being met. 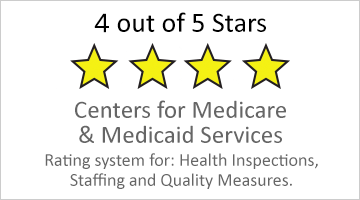 You should feel secure and at ease with our staff, particularly those providing direct care. If you have any concerns or praise for our staff, please feel free to contact our social services department. They will be able to address any apprehensions you may have regarding any particular staff members. Lutheran Home employs a full time Billing Officer and Administrative Coordinator for all financial and billing concerns. Should you have any questions regarding these matters please make an appointment to see one of them by contacting the front desk/receptionist. An LPN provides basic bedside nursing care to residents under the direction of a physician or registered nurse. Duties within the scope of practice for an LPN typically include, but are not limited to, provision of basic hygienic and nursing care; measurement of vital signs; basic client assessment; documentation; performance of prescribed medical treatments; administration of prescribed medications; and, performance of non-medicated intravenous therapy and blood withdrawal.